A few weeks ago I placed several orders on Etsy for some cute planning stickers to use in my Bando agenda. The first shop I placed my order was Sweet Kawaii Design because I had an amazing experience ordering for her the first time. Her stickers arrived first so I thought I would share what stickers I ordered from her shop because Tesia's sticker are incredibly kawaii! My favorite sheet of stickers that I ordered are these really cute Planner Love Stickers! 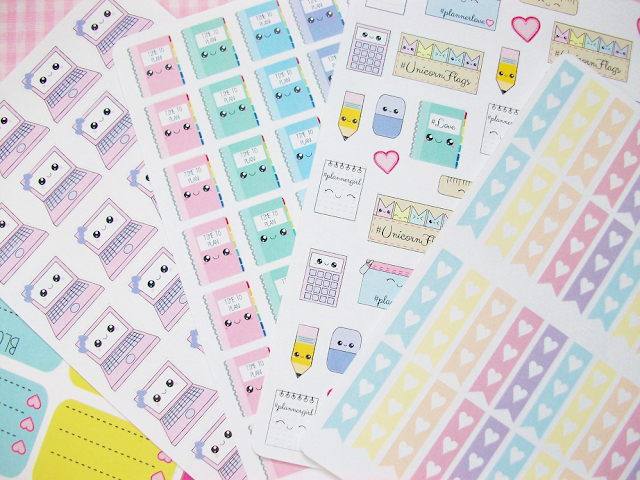 There is a variety of stickers to choose from including pencils, calculators, paper, unicorn flags, etc! And of course, all are accompanied by two adorable kawaii eyes! 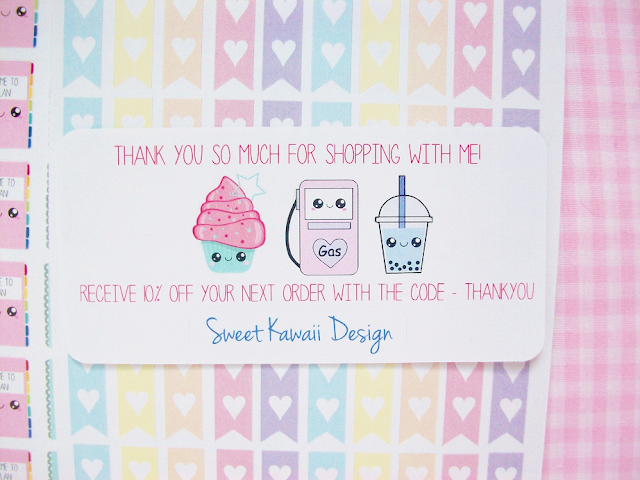 I ordered so many of these flags all from different Etsy shops, the Sweet Kawaii Design ones are by far my favorite! I plan on using these check off stickers frequently to organize my tasks for each day. I adore them because they're pastel and have hearts! 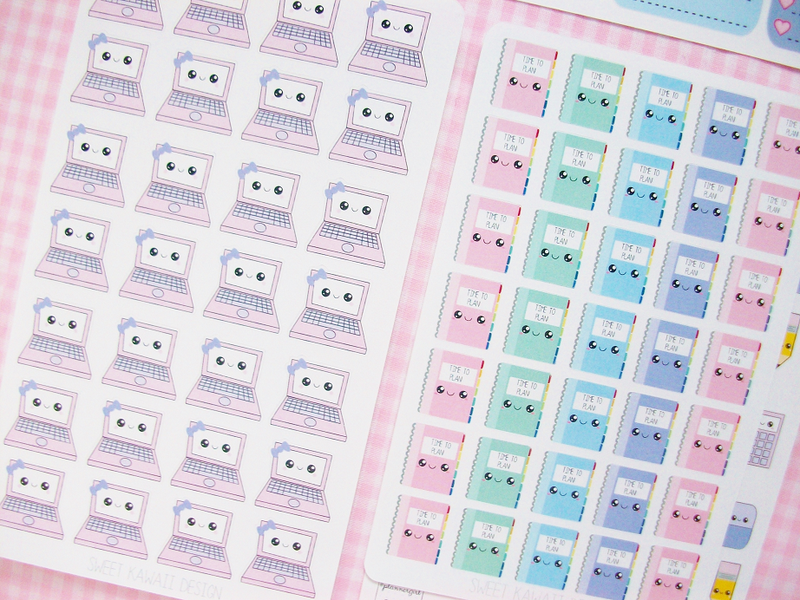 I also got these mini blog square stickers. 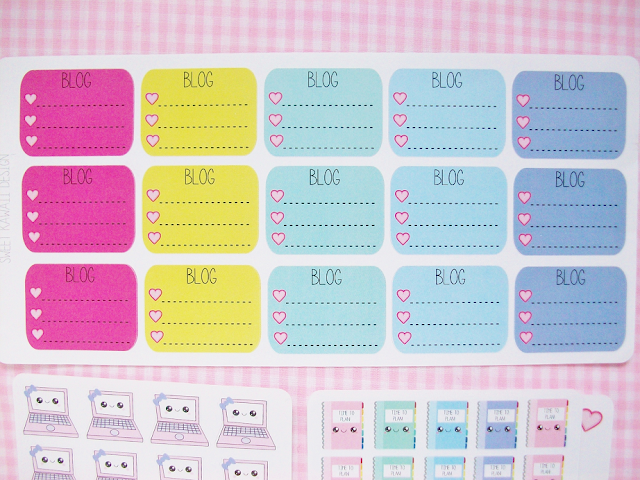 I asked Tesia to make some blogging stickers and she actually responded! I still don't know how I'm going to use these yet but I definitely will be using them! 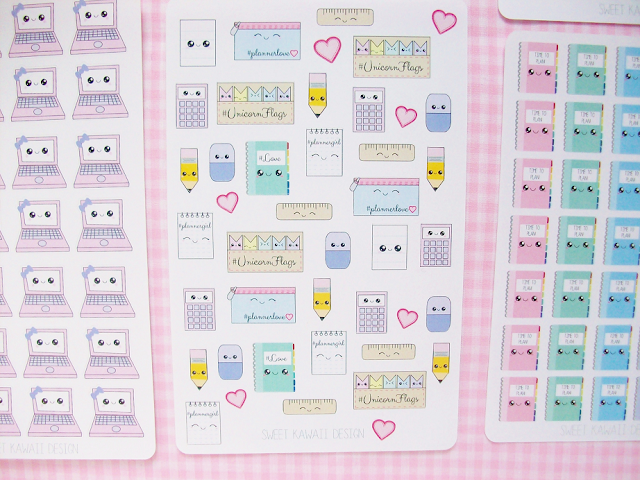 Lastly, are these adorable laptop and planner stickers! I don't remember why I ordered the laptop sticker for.. 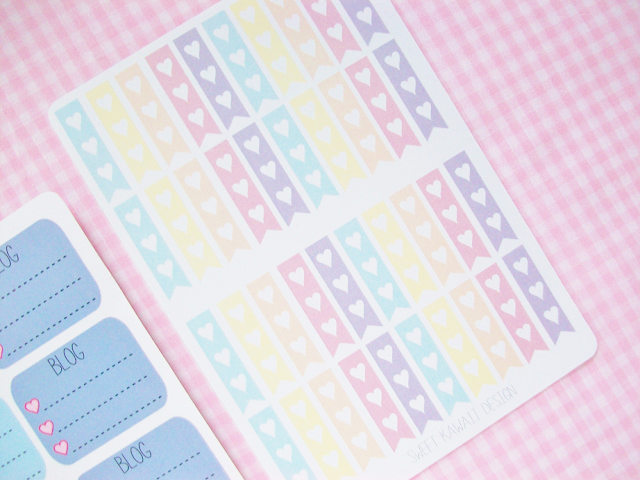 But I wanted the planner/agenda stickers to remind me when to plan. I also received this thanks you card from Tesia with three free stickers! So kawaii! Where is your favorite place to shop for stickers? I have been checking out this etsy shop for awhile, but as I'm trying to use the planner stickers I haven't bought any yet. I just love how cute her stickers are, especially those laptop ones you bought! You should totally get some! 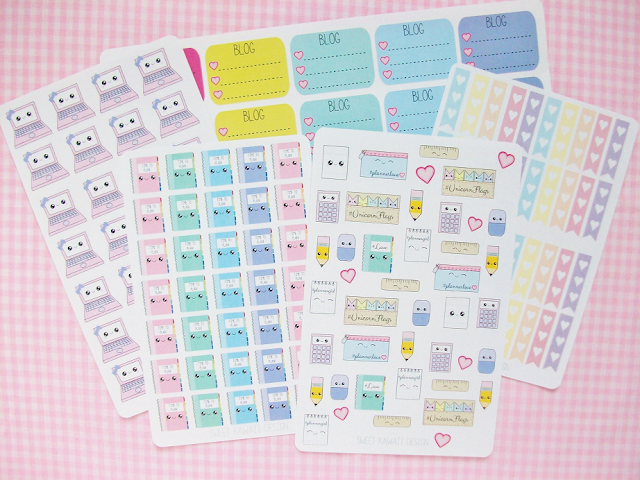 Her stickers are soooo cute! She also doesn't take as long as other etsy sticker shops to ship.